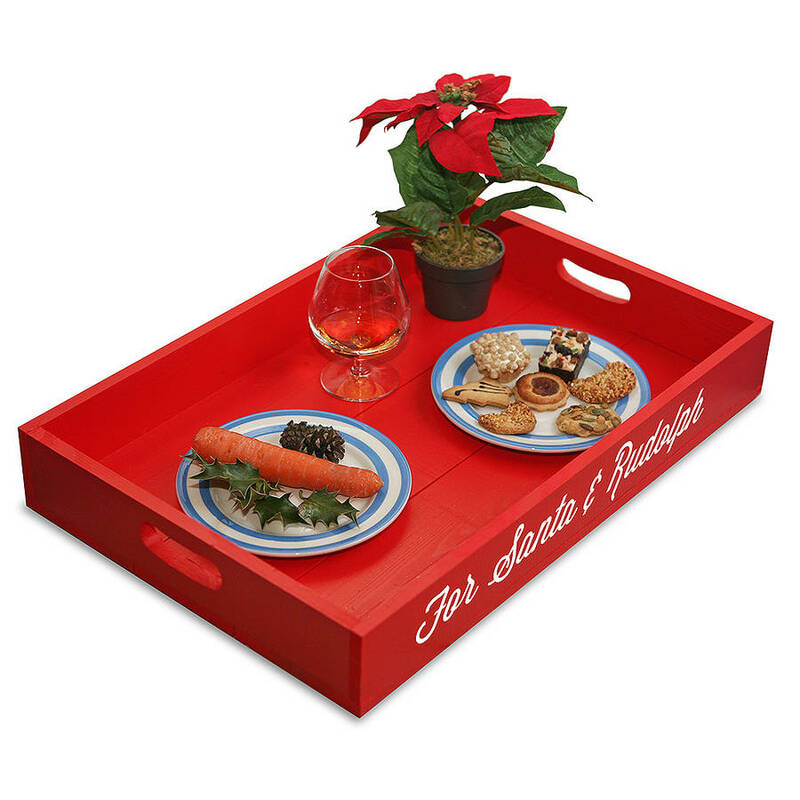 Our personalised Christmas tray is perfect for leaving a little something for Santa and Rudolf. 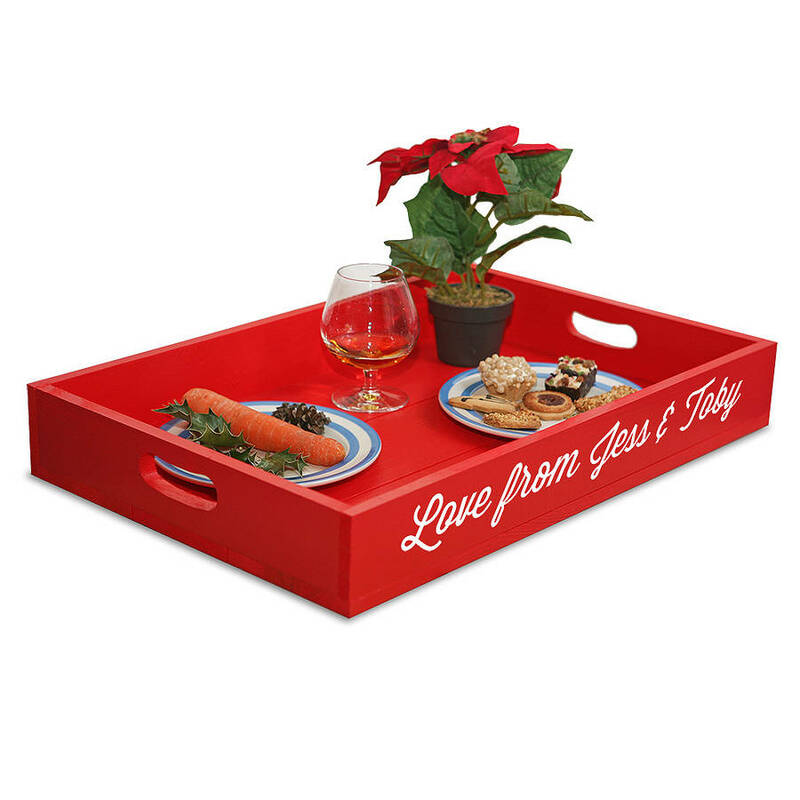 Available in our great range of Xmas colours, this tray can be personalised with your own unique message and is a lovely way to build the Christmas Eve excitement by giving Santa his own personalised tray. 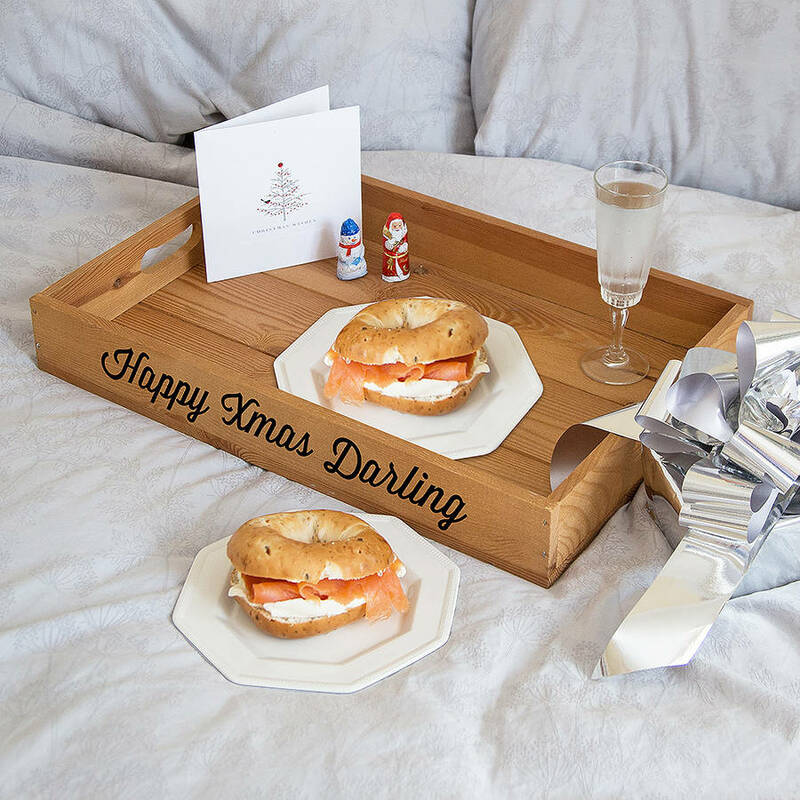 Or why not treat someone special to a personalised breakfast in bed on Christmas morning? 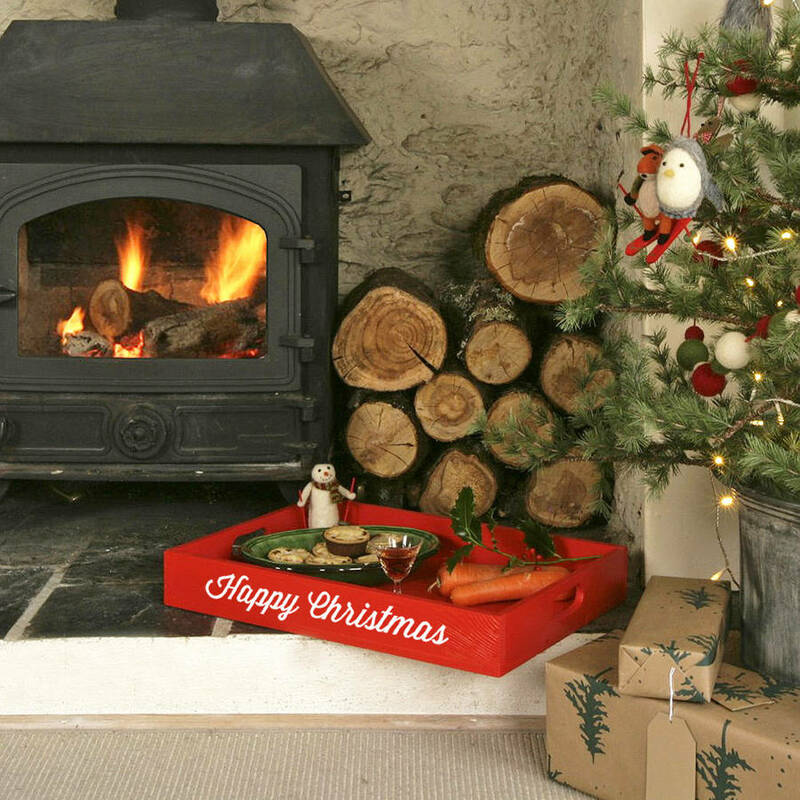 The perfect start to the day's festivities. 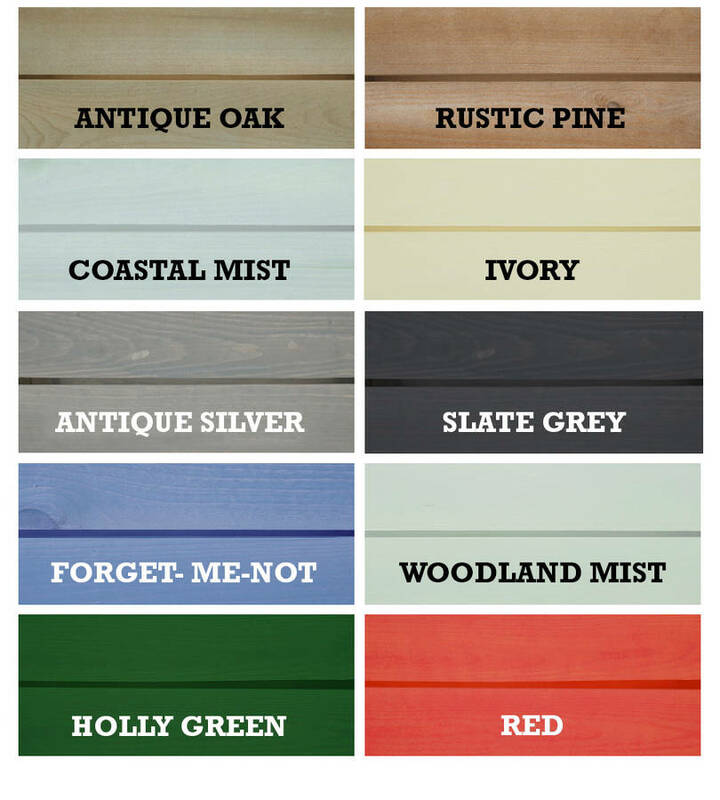 Choose from a range of 10 colours, black or white text and personalise with 1 line of 24 characters.